LA-W Series | Product | MIMAKI SINGAPORE PTE. 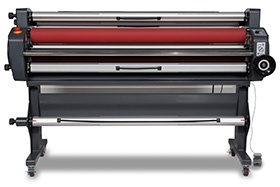 LTD.
[LA-W Series] is a warm laminator achieved the maximum laminating speed 7,500mm/min. (*1) and usable for UV print laminating, too. *2 Silvering: Whitening phenomenon of graphic by engulfing air babbles on laminating.